Check up on Epic Games' Fortnite mobile release time and sign up to be among its first players. Players love diving into Epic Games' popular Fortnite Battle Royale on PC, but when the developer announced that the hit gaming experience was coming to mobile devices, many fans were left wondering how the gameplay recipe could possibly transition to control on a smartphone. Those types won't have to wonder for long, however, as Epic Games has opened a Fortnite mobile sign up page over on its official website that will allow iOS users to get an early run at the game. Read on to learn how to sign up for Fortnite mobile and learn the anticipated release time for Epic Games' latest title. 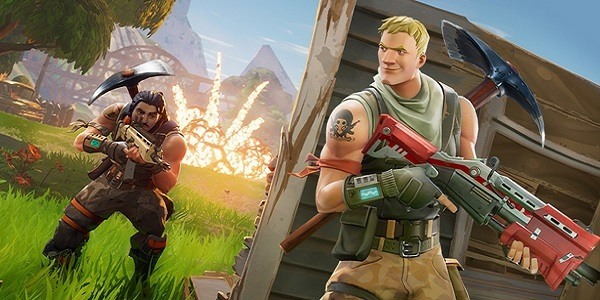 There are a few noted requirements to gain access to Fortnite mobile, namely that the Fortnite mobile early sign up is only compatible with iOS 11 devices from the iPhone 6S generation or higher, which should include most modern iPads — an Android version is expected to release later. Players also aren't guaranteed access, as Epic Games' is expected to begin releasing game codes in waves, so players who don't get in early might have to wait a little later than expected. The official Epic Games website already has a page listed where players should be able to sign up for Fortnite mobile, but as of the time of writing, the page results in a 404 Not Found error. The website shouldn't be down for too long, but until it comes back up, players can always monitor the Epic Games homepage for new changes. While we still haven't heard any official word on when Fortnite mobile is meant to make its proper debut, the team at Epic Games has revealed that Fortnite mobile sign ups would begin today, March 12. After signing up through the Epic Games website, players may receive an e-mail with a link to download the game within 48 hours. Players who receive invites straight from Epic Games should also get an invide code to share with one of their friends. Until then, players can always check out how Fortnite on iOS is expected to feel by checking out some Fortnite iOS gameplay video, featured below. Though the current sign ups are limited to iOS devices, the Epic Games team have stated a plan to get the Android version up and running and have it release sometime in the coming months. As for any other news, including proper launch date and times, we'll just have to wait and see.